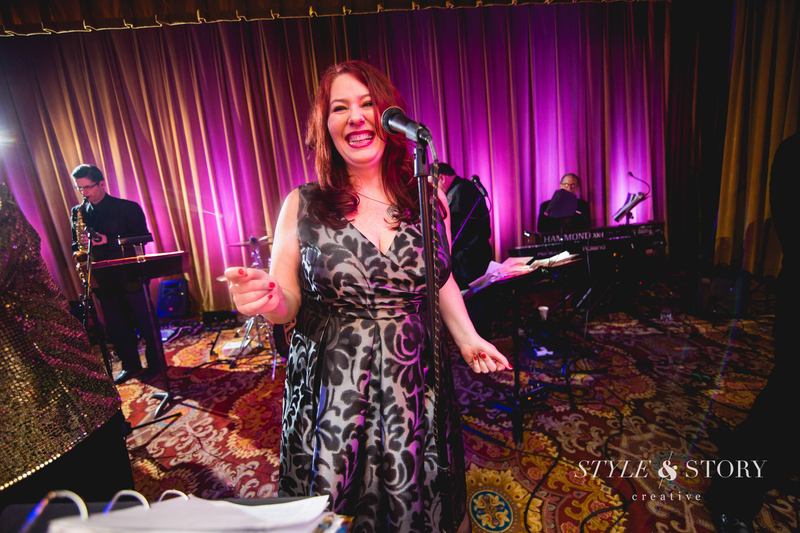 TCB’s female lead vocalist Sandra Payne is backed by incredibly polished musicianship to create an exciting and energetic sound that keeps every audience on the dance floor until the very last note. 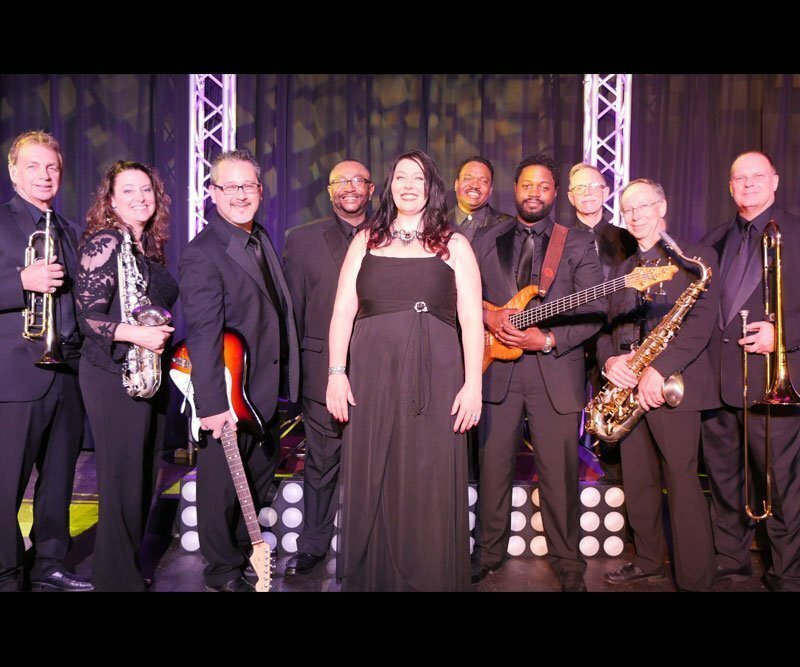 Boasting hundreds of musical selections ranging from the newest Contemporary hits, Motown, Swing, Disco, Classic Rock, Country and much more, TCB has the talent and experience to ensure your wedding, corporate event, private party, or festival is a success! The weather was cold and rainy and our reception was held in a 3-sided barn; that didn’t bother TCBs performance in the least. They brought non-stop, high-energy heat and kept the party going strong. I think this is the only wedding reception I’ve been to where people were dancing the whole party. Thanks to everyone at the Cleveland Music Group for working with us and for being flexible, thanks to the members of TCB for an unforgettable night. TCB was outstanding! Very professional from start to finish. Mike was great to work with and very accommodating. The dance floor was packed all evening. Couldn’t ask for anything better! 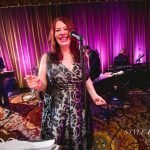 We were extremely happy with TCB at our wedding! Mike was a pleasure to work with throughout the planning process and the whole band was amazing. We received so many compliments from our guests and TCB had the dance floor full the entire night! Highly recommend them! Great music for a wedding reception! TCB is a great band-our guests danced the night away! Mike, the band leader, was very easy to work with & followed through on all the timing for announcements & events. TCB provided a fantastic experience for my wedding guests. They played an excellent selection of music and were very professional to work with. I even got the chance to come up on stage an serenade my new wife in song! 100% recommend and would definitely book again for my next event. TCB was amazing! Their sound was perfect, they had an excellent mix of songs they played that kept everyone on the dance floor. Many guests came up to me telling me how amazing they were! Duane Dickson added the Wow factor to our wedding. He is an excellent piper and all the guests were entertained. TCB exceeded our already high expectations. Many of the guests commented on how great they sounded and that they were the best band they have heard at a wedding. TCB packed the dance floor and kept all guests entertained from the oldest to the youngest. They are truly 5 star entertainment and made our wedding amazing. Michael and the entire TCB band were incredible. They were extremely easy to work with and made our reception a blast. 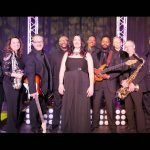 We had seen them at a friends wedding a couple of years ago in Cleveland and hired them as soon as we got engaged and were not disappointed. 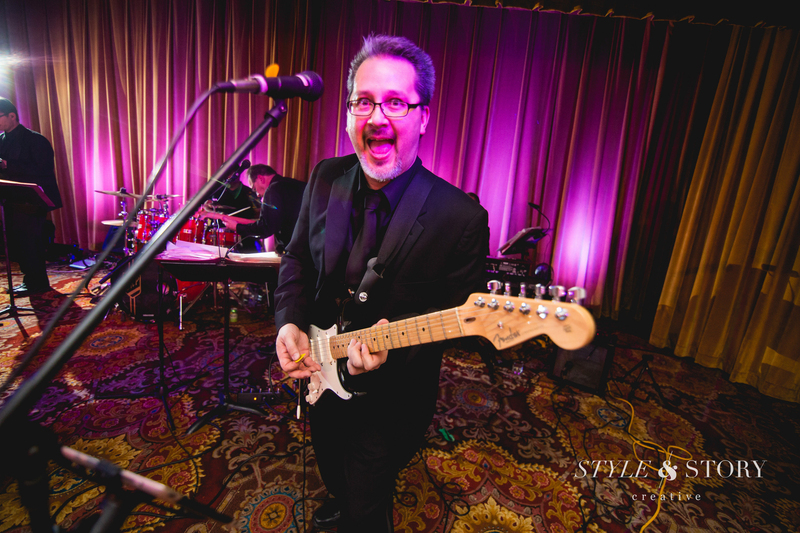 We would highly recommend using TCB and the Cleveland Music group for your wedding or event! The TCB band was great! Our guests thoroughly enjoyed the music, vocals, and playlist. The band was professional and stayed with our timeline for the evening. I highly recommend TCB! The lighting was professional and added to the atmosphere of the evening. Guests at the wedding loved the band. Mike was easy to work with and very helpful. TCB was referred to me by a friend, I am very grateful!!! We have heard from so many people that TCB was outstanding! My husband and I absol loved their performance. They kept the crowd dancing all night. We got so many compliments on how amazing our band was…from dinner music through the end of the night, they were phenomenal. They really directed the flow of the night and engaged the crowd – what a blast. Leading up to the wedding Michael from TCB was dream to work with – he was as enthusiastic as we were for our big day and so communicative and helpful. We wish we could have danced MORE – we were so busy running around all night! We wish I could relive it all again! I can’t thank the band enough for their talents and professionalism. When they started the Father/Daughter dance music, the wedding guests audibly gasped at how beautiful it sounded. TCB was a blast to work with and all our guests loved them. The dance floor was full the entire night! 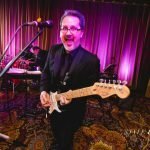 Tony and the other band members did such an awesome job at our wedding reception! We heard many comments from guests about how terrific they were. Fantastic band, I should have ordered a larger dance floor! TCB was absolutely wonderful, they kept the guests dancing all night long!! I couldn’t have hoped for a better performance, thanks so much!! Tony and his band were amazing! They had all of our guests on the dance floor all night long. They are truly one amazing band. I would recommend them to others. Thank you so much for everything! The Band was fabulous! Thank you. We were thrilled with TCB, they made our wedding day absolutely perfect! 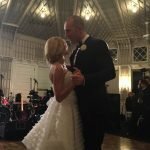 The most important thing for us was for everyone at the wedding to have a great time, which to us meant everyone out on the dance floor dancing to a great band. TCB made this happen and exceeded our expectations. Everyone told us, and keeps telling us how amazing they were and we will recommend them to everyone! Thank you! Tony and the band were fantastic! They were flexible with the timing of events throughout the night. Tony C and his group had people of all ages out on the dance floor all night long! We were so pleased with TCB’s performance at our wedding. Tony was amazing to work with leading up to the wedding as well. He took of all our requests and suggestions and followed them on the evening of the wedding. The band had great energy and kept everyone dancing all night. They made the night extra special. Thanks! TCB was very accommodating to our requests, very professional, and enjoyed by all! They exceeded our expectations at every turn. They were perfect in every way. TBC made the reception special. They are extremely professional and talented musicians. One of the exceptional things about this band is how Tony seemed to read the audience and then tailor each set to maximize the fun. If you hire this band you can take one thing off your list to worry about. The band exceeded my expectations in their quality of entertainment! Everyone enjoyed the music and there wasn’t an empty spot on the dance floor. Beyond spectacular!! Wish they could have played all night long, ran out of time. We received so many compliments on how great the band was. Thank you so much! The band was amazing. Best music they have ever heard at a wedding. The dance floor was filled all night long. There was not enough room to fit for everyone who wanted to dance. I have never been so pleased with a bands performance as I have been with TCB. Would highly recommend them and use them again. Excellent band which accommodated all our needs and desires. You guys are great. We had an amazing time, and a big part of that was your band. You got the whole party up and dancing from start to finish. Also, I can’t tell you how many complements we got about you guys; especially your new female vocalist. In addition, I really appreciate how easy it was to work with you. You were probably the easiest part of our entire wedding. Many who attended remarked that TCB was exceptional. There’s nothing like a live band at a great wedding. There wasn’t an available spot on the dance floor the entire evening. The band had the crowd dancing to a great variety of music. They were outstanding! The band members were courteous, professional and kept our attendees on the dance floor until the end of the evening. It was an important event, and the Tony Camerato Band made the evening special. Thank you for being flexible and above all, fantastic!